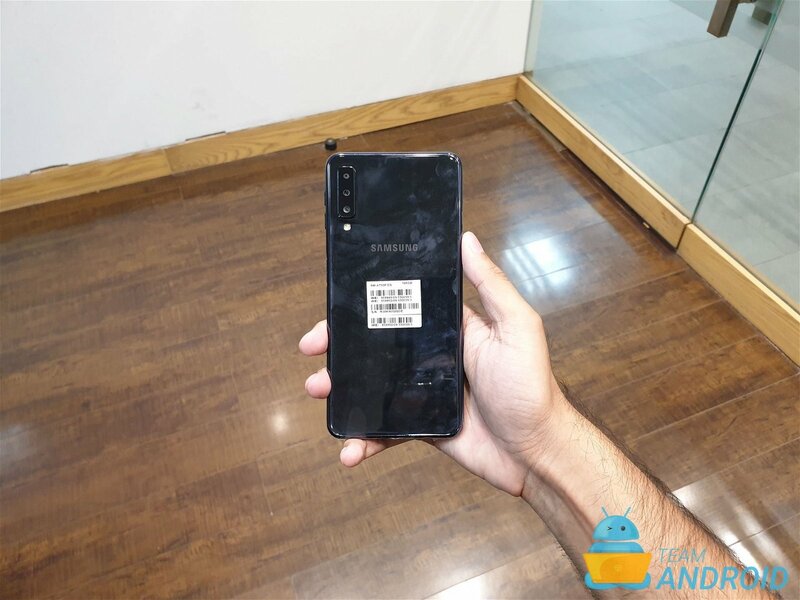 Samsung Galaxy A7 (2018) was announced a week back and here we have our first hands-on with the phone. 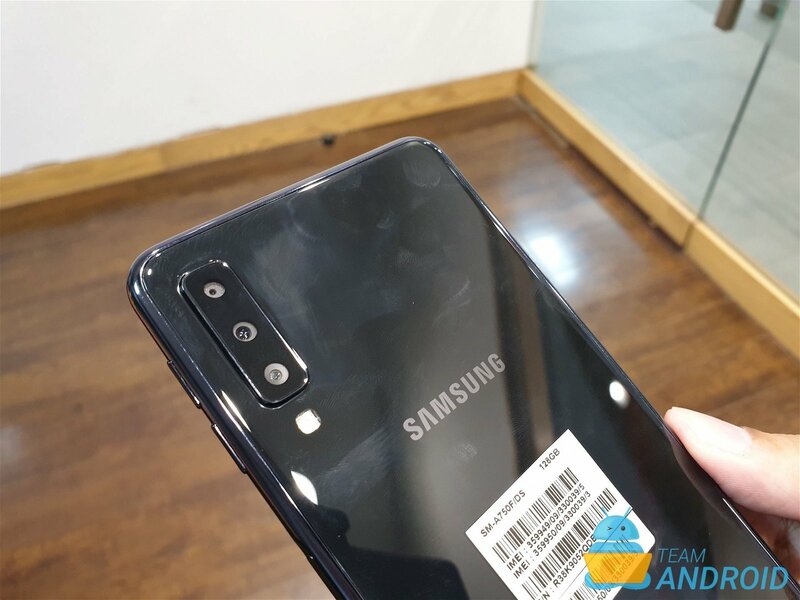 This is the first device from Samsung that has a triple-camera setup at the back. 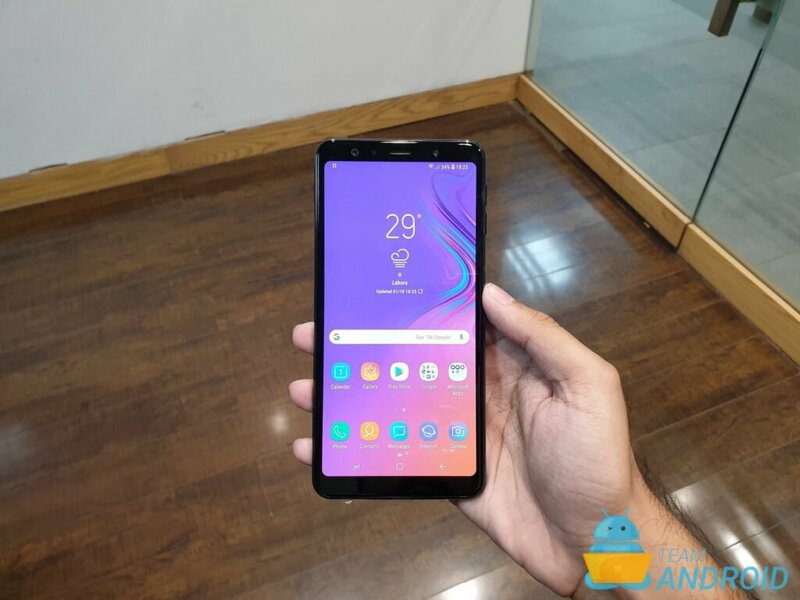 Samsung Galaxy A series have always been about premium mid-range phones, and the Galaxy A7 this year is no different. 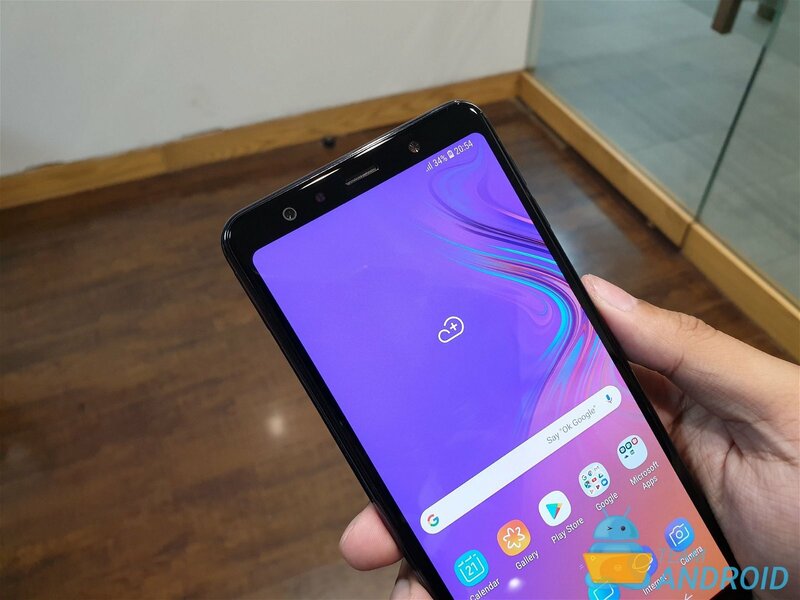 The new Galaxy A7 is unlike other mid-range phones we have seen from the company. 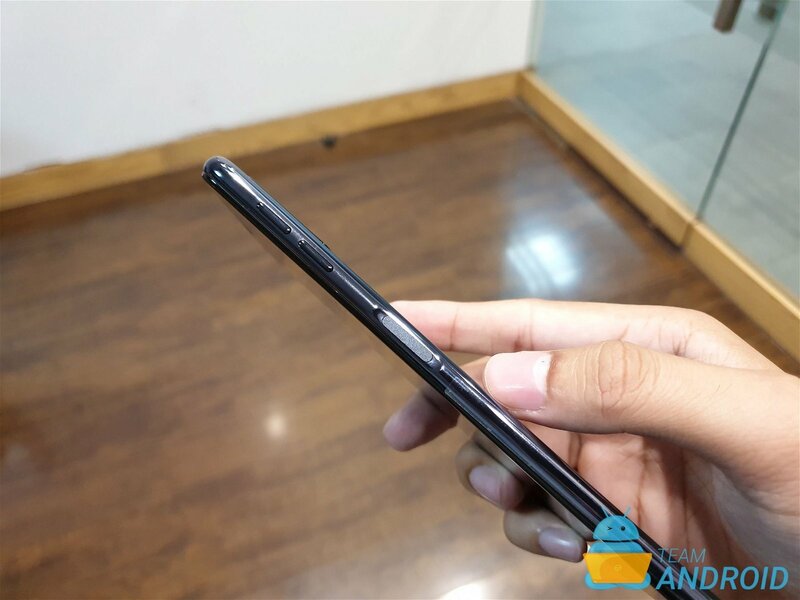 Not just because of the three cameras at back, this phone uses Samsung’s own Exynos 7885 SoC inside. Exynos processors have mostly been used in high-end flagship phones by Samsung. The company always preferred going with a Qualcomm Snapdragon SoC with their low and mid range devices. The new Exynos 7885 offer a significant performance upgrade over the previous Snapdragon chipsets. 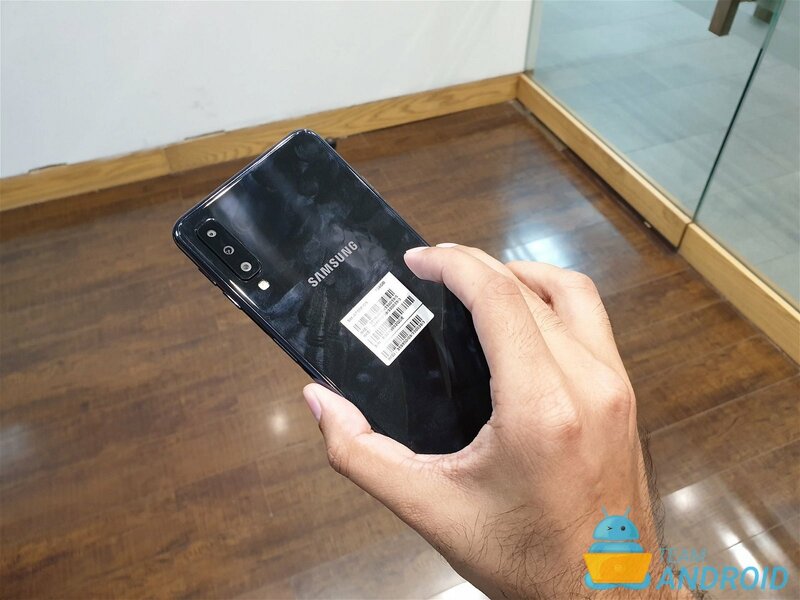 And another first we saw from Samsung is about the fingerprint scanner which has now been moved to the side, inside the power button. 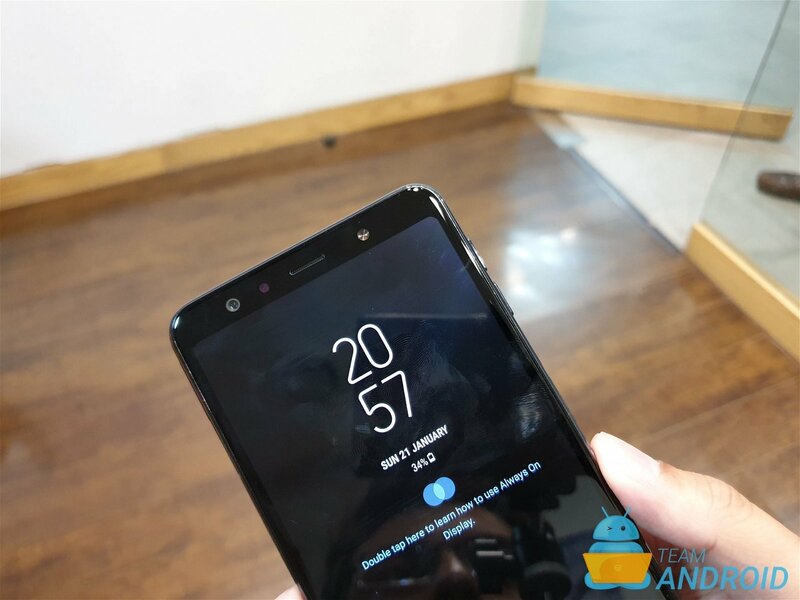 Samsung is not the first company to go with this type of implementation with the fingerprint scanner, but it sure does work and we love it. 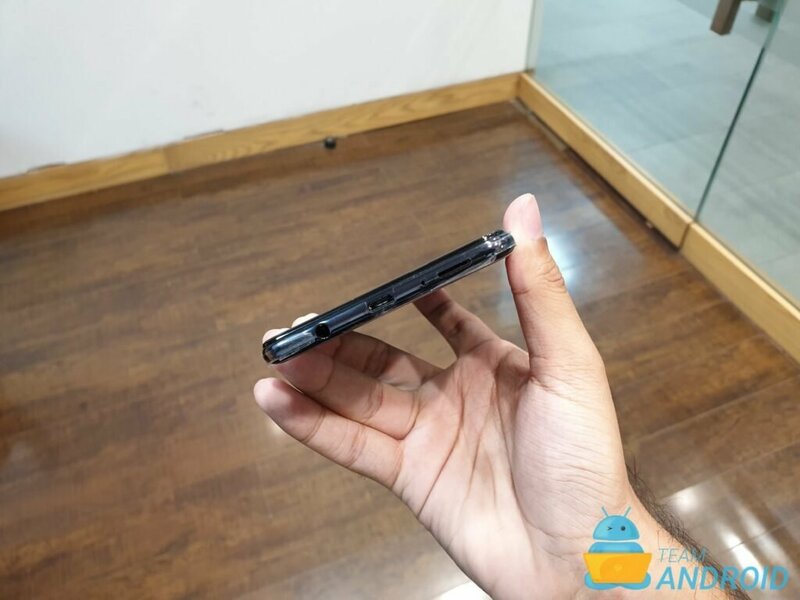 We should come out and say it right away, that this could be the best place for the fingerprint scanner on a smartphone! 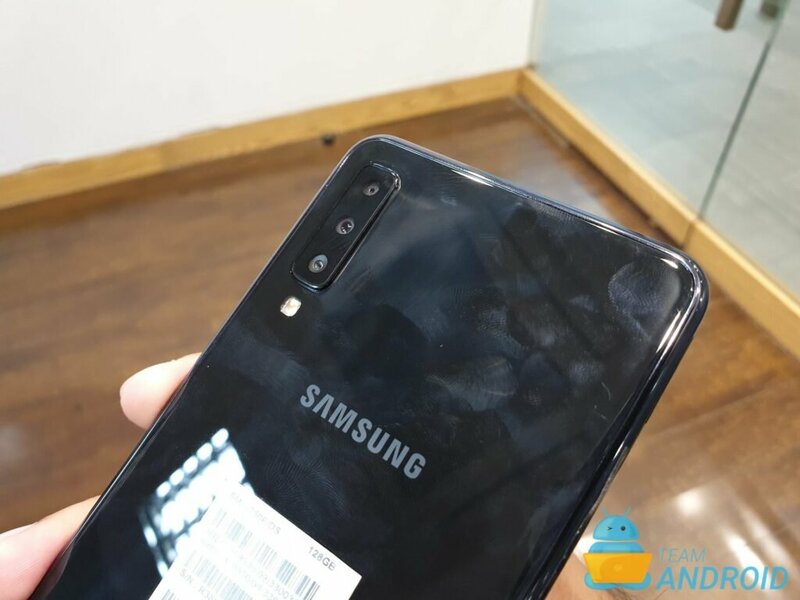 The new Samsung Galaxy A7 (2018) offers an all-glass design with a glossy frame on the sides. The front and back is protected by Gorilla Glass 3 for everyday scratches and bumps. The new Galaxy A series has a box-ier design than their previous generation of phones. 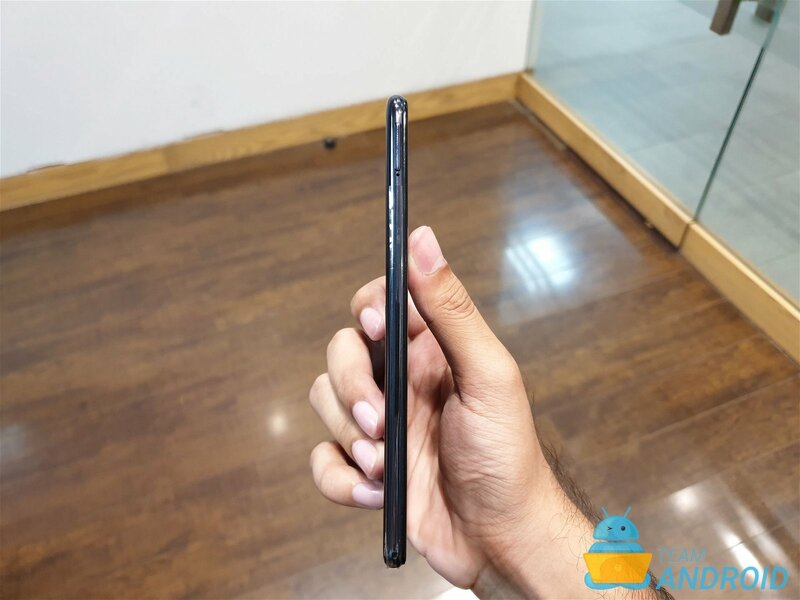 The front has a 6-inch Super AMOLED display with big bezels at the top and bottom of the phone. The top includes the front selfie camera, a flash, an earpiece and other sensors. The bottom has a big bezel even though there is no home button on the phone. 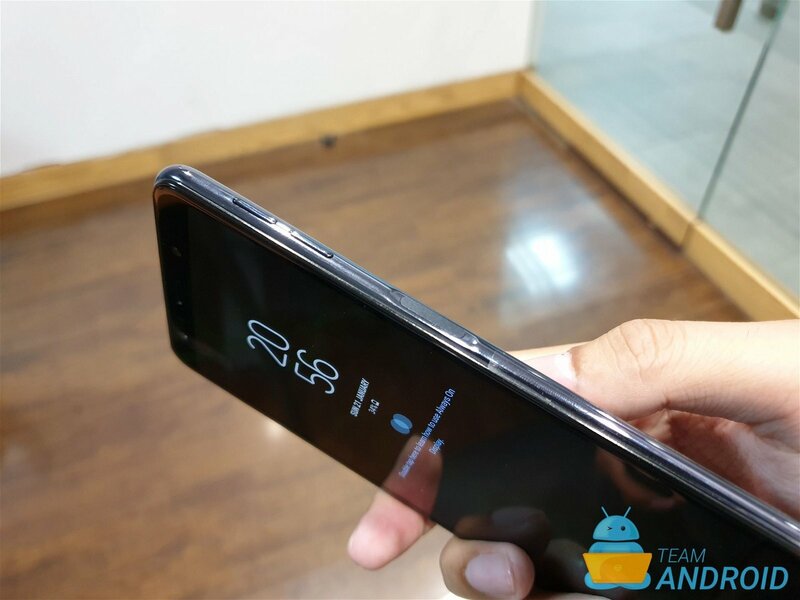 The size bezels are slim and work well with the 2.5D curved glass. The backside of the phone has the triple camera setup in the top left corner aligned vertically with a square border. 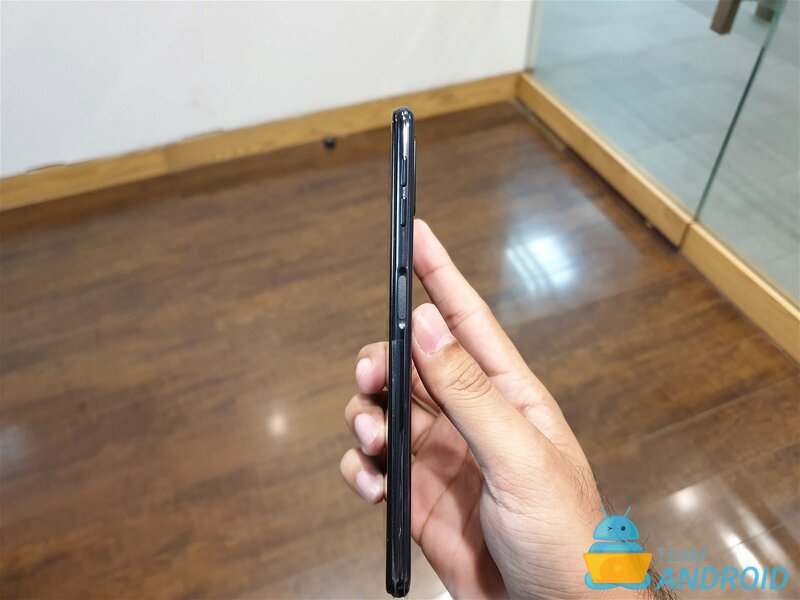 Overall, the Galaxy A7 has a clean look and feel with less buttons than other phones. 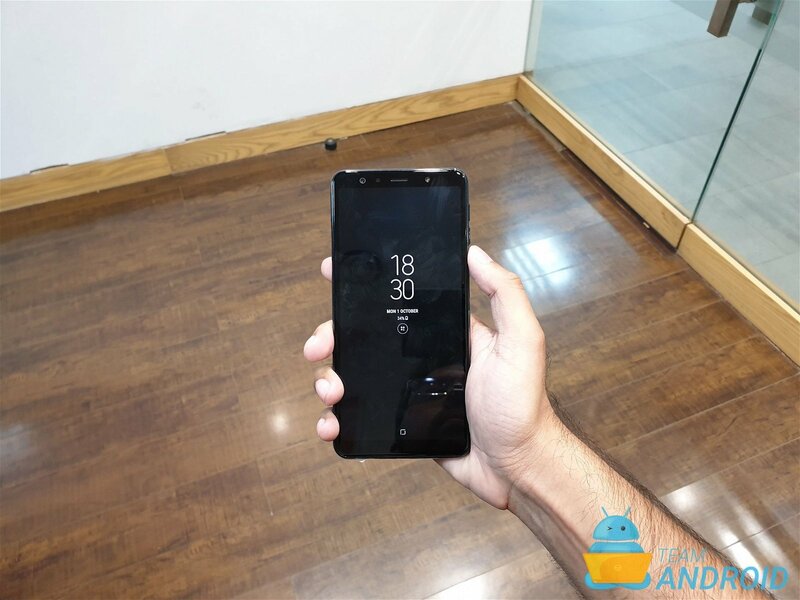 And thankfully, there is no Bixby button unlike the flagship Samsung phones! The side fingerprint scanner may take some time to get used to, but it feels much better and faster to use. You can quickly unlock the phone with your thumb when you hold the phone with your right hand. For left-handed people, you have register your index finger. 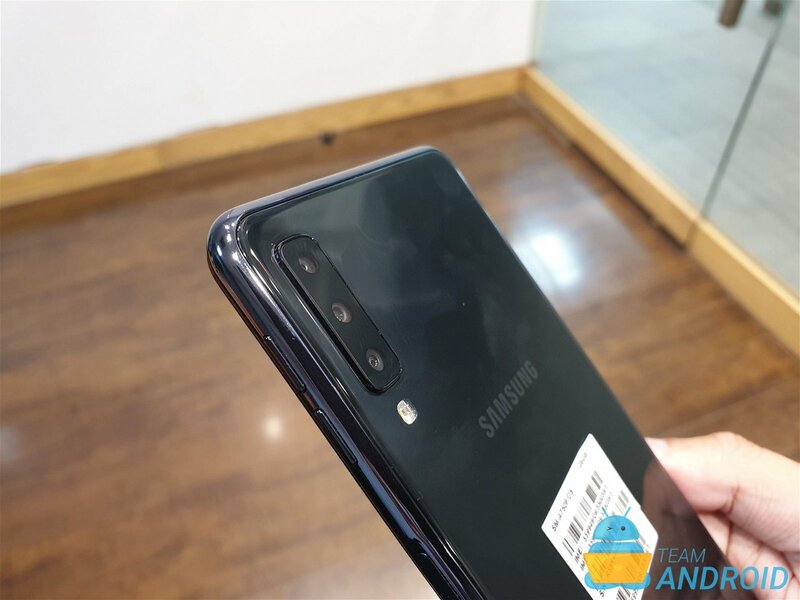 Now coming to the signature feature of the Samsung Galaxy A7 (2018) – the three cameras. The camera sensors on this phone are: 24 megapixels, 5 megapixels and 8 megapixels. The 24 megapixels camera is the main sensor with F/1.7 which will combine four pixels into one for taking much better pictures in low-lighting conditions. It is coupled with a 5 megapixels sensor for taking better portraits and offer a great bokeh effect. The 8 megapixels sensor feature an ultra wide angle lens capable of taking 120-degree wide shots. The front camera is a 24 megapixels sensor which can take great selfies even in low-light, thanks to the front-facing flash. 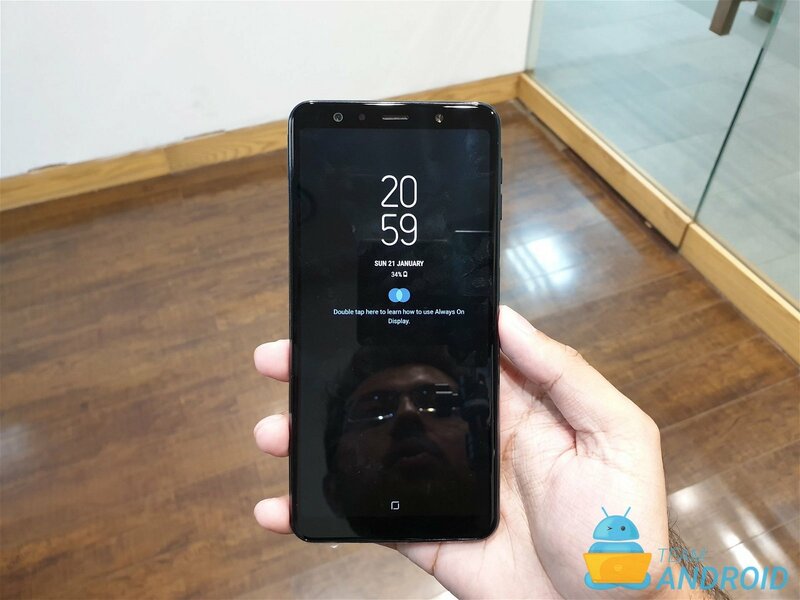 The Galaxy A7 (2018) has the best of software optimizations and features for a great camera experience. Samsung has brought a few features from their flagship devices to the Galaxy A7. Most importantly, is the Scene Optimizer feature which we first saw on the Samsung Galaxy Note 9. The camera performance is adjusted with optimized colours depending on the subject. The main auto camera video offers a button at the bottom to switch between the wide-angle or the normal lens. We’ll get deeper into the camera features in our full review later! This phone comes with two-configuration combinations of RAM and internal storage. You can buy the Samsung Galaxy A7 with 4GB or 6GB RAM coupled with 64GB or 128GB internal storage, respectively. On the plus side, this device offers expandable storage. You can expand the storage further with a 512GB microSD card. 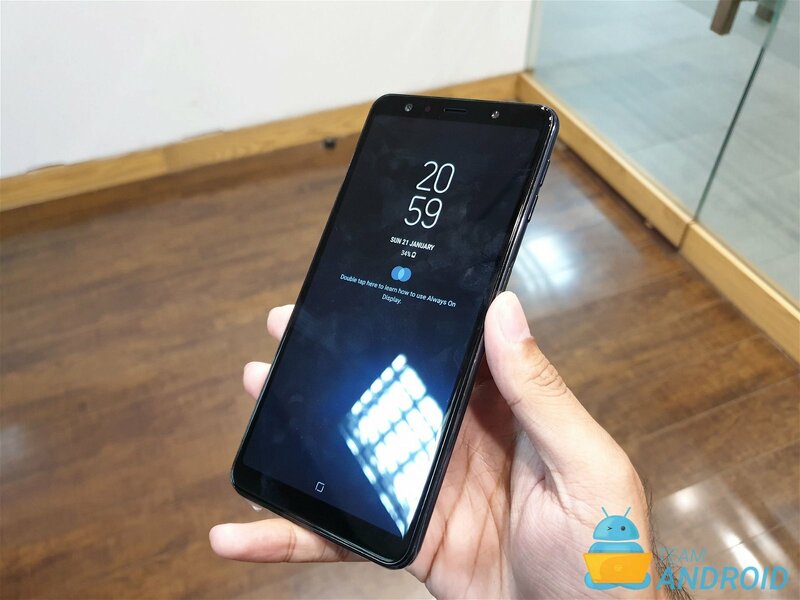 Other standard features on this phone include: Bluetooth 5.0, NFC and some bloatware i.e. Microsoft Office apps, Facebook etc. that you cannot get rid of even if you wanted to. However, Samsung has toned down on the amount of apps and useless features it used to pack over the years. This is all what we thought of the new Samsung Galaxy A7 (2018) in our brief time with it. 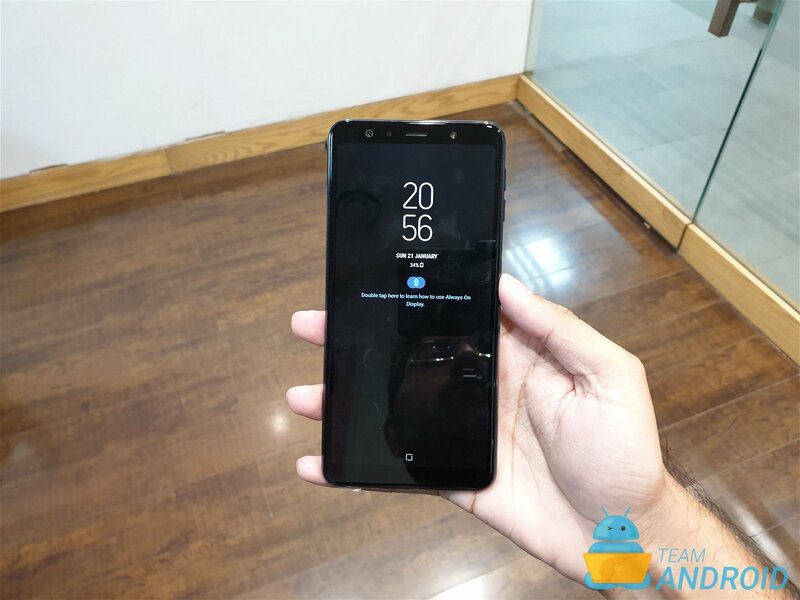 The phone looks promising and is a different take on premium mid-range category from Samsung. We will go in-depth about all the features in the Samsung Galaxy A7 later in our full review.